Finding a good, reliable babysitter can feel like a Herculean task, but keeping one will be even more difficult if you fail to treat them well. Besides being paid to play with tiny humans, one of the major benefits of working as a sitter is the amount of flexibility and control we have over both whom we work for and when we work. Barring a major move or career change, a family that treats their sitter with respect and courtesy can likely count on that sitter to work with them as long as humanly possible. Of course, there are some no-nos that are pretty obvious (i.e., failing to pay on time) but there are also a few other things that, if you’ve never been a sitter yourself, you might not even realize you’re doing wrong. Here are nine surefire ways to lose good childcare. Consider this your “what not to do” guide to a long and happy babysitting relationship. Being polite should be a given, but unfortunately, that is not always the case. It can be easy to forget the role of power you have in the parent-babysitter relationship. You are the employer, and it is up to you to create a welcoming work environment. A boss who’s impatient, passive-aggressive or downright abusive? That’s the person you quit on — quickly, and probably without notice. But an empathetic boss who treats you with respect? That’s the person who can get you to work a last-minute job on Halloween night. This one is tough. After all, hiring a babysitter might be the first time you’ve ever been someone’s employer. You have to get comfortable with making requests and setting standards. Don’t just hint at what you want done. Spell it out. If you’re still stumped, just try to emulate the best boss you’ve ever had. State your expectations and explain your house rules up front. Discuss things like bedtimes, screen time, treats and discipline. And never be afraid to write things down. My favorite families are the ones who supply me with checklists (especially when there are two kids with different bedtimes/bedtime routines) and communication logs (particularly when I’m caring for a baby and need to record how much they’ve eaten). It makes my job so much easier. The vast majority of us are living on a budget, but if your rates are too low, don’t expect to be able to secure a quality sitter for long. If you’re not sure what the going rate is in your area, Care.com has an excellent calculator to help you. If you have no choice but to offer less than that, it’s in your best interest to make working for you a stress-free job. You would be surprised how many times I’ve been offered a job that required exhaustive amounts of housework or had inconvenient start/end times, but offered less than $10 per hour. Your sitter has to be able to get your children to follow directions when you aren’t there. It doesn’t matter if you overhear your child being disrespectful or not following directions. Give your sitter the opportunity to handle it. Chances are, they have plenty of experience earning respect from other people’s kids. Also, if your child has access to a cell phone/tablet and calls you to tattle on the sitter while you’re out, shut that down immediately (unless it sounds serious, in which case, you can feel free to investigate once you get home). It makes it difficult for your child to adjust to being with someone new. Many children tend to act out more when they know their parents are nearby. It can be difficult at times, but allow your kids to forget that you’re there. Otherwise, your sitter can’t effectively do their job. We’re all late from time to time, but if I can never bank on you being back when you said you’d be, I’m going to start turning down your jobs. 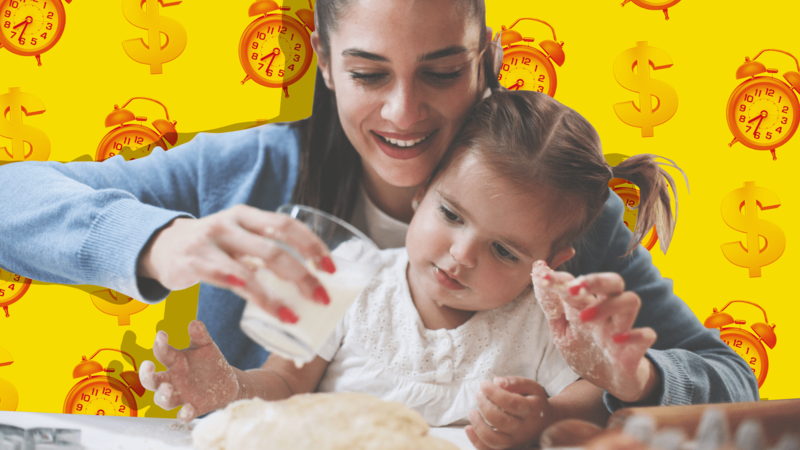 Your sitter has to be able to plan their life too, and it’s impossible to do that if they’re never sure exactly when they are going to get off of work. Things happen, but chances are, if I accepted a gig, I’m counting on that extra cash. It also means I probably turned down other opportunities because I committed to working for you. I’m pretty sure you hate it when sitters flake on you, so in the spirit of fairness, be a reliable boss. And if you absolutely have to cancel, please — please — pay your sitter anyway. We love kids, but we are definitely in this game for the money. People have bills. You enjoy having your good work acknowledged, right? So do your sitters. Tipping is always encouraged, but it’s not the only way you can show your appreciation. Thank your sitter after each job. If they use a site to find new work, leave them a positive review. Offer to buy them dinner if you’re planning to order takeout for the kids. Have your kids make them a birthday card. It’s a fun job, but not always an easy job, and it’s nice to feel seen. Above all else, just be fair, reward good work and work on effective communication. You’ll be surprised how long your sitters will stick around.